Paula Meyer left a successful career at Ameriprise Financial in 2006 and has since focused on building Friends of Ngong Road, a non­profit organization whose mission is to provide education and support for Nairobi children living in poverty whose families are affected by HIV/AIDS so they can transform their lives. As President of Friends of Ngong Road, Paula leads a talented team of senior executive volunteers from a variety of business backgrounds. Under her leadership Friends of Ngong Road has grown from an idea to a vibrant organization delivering education and life transformation for over 350 children in Nairobi, Kenya. Meyer is the daughter of a Lutheran pastor and a teacher. Her growing up years were spent in several communities in Iowa and Minnesota as her father’s duties changed. Meyer graduated from high school in Council Bluffs, IA and received a B.A. in History and German from Luther College in Decorah, IA. She earned an M.B.A from the University of Pennsylvania’s Wharton School of Business in 1982 and began her career with The Vanguard Group of Mutual Funds in Pennsylvania. Paula spent 25 years in the financial services industry, primarily in the mutual fund business. After Vanguard she moved to SECURA Insurance in Appleton, WI, and then served in executive positions at Piper Jaffray and Ameriprise Financial (formerly American Express Financial Advisors) in Minneapolis, MN. Meyer served as the President of Piper Capital Management at Piper Jaffray and as President of the mutual fund and certificate businesses at Ameriprise Financial. While in Appleton in addition to serving as a senior leader at SECURA Meyer co­founded the Fox Cities Children’s Museum, still a thriving organization today. Today, Meyer serves on three corporate boards of directors in addition to her duties with Friends of Ngong Road. She is a member of the board of directors of Mutual of Omaha, Omaha, NE; the Federal Home Loan Bank of Des Moines, IA; and First Command Financial Services, Ft. Worth, TX. After many years as a corporate executive Meyer’s belief is that the skills she and the organization’s board of directors have learned in business can be applied successfully to deliver results in a different context. 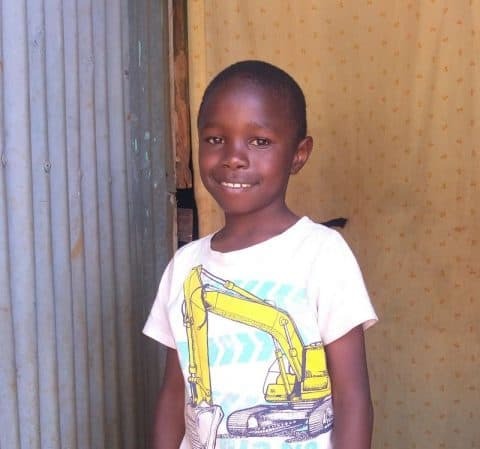 Friends of Ngong Road provides support to one of the most at-risk populations in the world – children who have lost one or both parents due to AIDS and living in poverty in Nairobi’s slums. U.S.-based fundraising operations are handled by volunteers allowing nearly 100% of funds raised to be sent to Kenya.